Chinese smartphone player Xiaomi today unveiled its latest smartphone – Mi Max In India. The device is the biggest smartphone in size that has come out of Xiaomi’s stable so far. 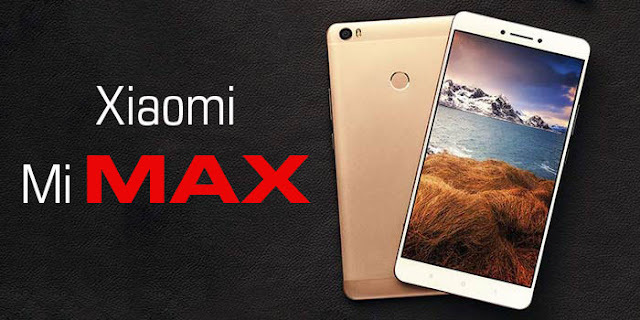 Defying the current standard size of the big phones, popularly branded as ‘Max’, which hovers around 6 inch, the Xiaomi Mi Max comes with a mammoth 6.44 inch full HD screen display. However, the phone doesn’t appear to be bulky and certainly not an eye sore. Xiaomi has managed to contain the form factor within a range that can be hold and operated on a single hand. The Xioami biggie weighs just 203 gram, and, yes, it does not require wall mounted brackets as you suspected! The Mi Max comes in two variants. The 3GB RAM with 32 GB internal storage variant would cost Rs 14,999 whereas the 4GB RAM with 128 GB ROM is priced at Rs 19,999, reports M2MCafe. The Mi Max comes with Qualcomm Snapdragon 650 Quadcore processor with Adreno GPU and a 2.5D Corning Gorilla glass3. The phone comes with 16 megapixel rear camera with PDAF and 5 megapixel front camera with beautify feature. The 4G LTE enabled Mi Max loads a 4850 mAh battery and comes in full metal body structure and will be shipped in four different colours – silver, grey and gold. Marking a major step forward in Xiaomi’s content strategy, the first one million users of Mi Max, Mi 5 and Redmi Note 3 will get a three-month movie subscription and and one year of music for free when they download the Hungama Play or Music apps. The first 10,000 Mi Max users get to watch one of this year’s most exciting blockbuster movies, Warner Bros’ Batman versus Superman, for free. In addition, all Mi Max users will be able to enjoy exclusive behind-the-scenes footage from the movie. This special footage will only be available in India to Mi Max users.